It’s pretty safe to say that we are no longer Private Citizens, but rather wards of the state. The main ingredient in the whole “private citizen” thing is actual PRIVACY!!! Of which, my fellow ‘Merikans, we have none… and haven’t for a good while now. It USED to be a question of IF the government was spying on us. Those who said, “yes!” were foil-hat conspiracy theorists. Turns out the foil mad hatters were right. NOW it’s a question of why so secretive. I wear my foil-hat like a crown (and nothing says awesome like a good hat-trick) so here goes: to avoid checks and balances or any sort of accountability. Consider the government the unfaithful spouse who is desperately trying to keep the smell of perfume and lipstick off his shirt. You know he’s cheating. He knows you know. But now he’s just avoiding the headache of having to explain himself. Private courts like the Foreign Intelligence Surveillance Court (FISC) are granting the National Security Agency (NSA) access to people’s phone information: not just phone numbers or who you call, but who calls you, the duration of your conversations, and where you were during the conversation! If you recall, William Binney left the NSA after nearly 40 years because of the expansion of surveillance on the private citizens, and corroborates that while the monitoring of telecom companies has been going on for years, the expansion into the lives of private citizens is a more recent phenomenon. Google said to the Guardian UK: “Google cares deeply about the security of our users’ data. We disclose user data to government in accordance with the law, and we review all such requests carefully. From time to time, people allege that we have created a government ‘back door’ into our systems, but Google does not have a back door for the government to access private user data.” There is a distinction to be made between giving government access to files, and offering a feed of information. I don’t know if either are happening at this point, but given the recent ruling, I’d say: if there is any point of contact between you, your information, and Google, you’re either being watched, or will soon be watched. Remember when I wrote about the Biometric Scans brought to you by your nation’s Department of Homeland Security? You know, the one that will ONLY be used for employment verification processes? (Yeah, right… an offer made in conjunction with some ocean-front property in Kansas.) How about the Supreme Court ruling on June 3rd, 2013 allowing the police to take a DNA sample from anyone who’s been arrested?! Justice Saclia wrote the dissenting opinion on this case, seeing the state’s creep into the private lives of individuals… and rendering the 4th and 5th amendments virtually irrelevant. Look at the pattern of fingerprinting: first the convicted criminals, then arrestees, then civil servants, then immigrants, and in some states everyone with a driver’s license. Finger printing was used as the precedent for why DNA sampling was acceptable and legally reasonable. But imagine if DNA sample requirements followed that same path? We start with the convicts but now expanding, under laws passed by more than half the states, to arrestees. “How long before you’ll be asked to give a DNA swab before you can board a plane, work as a lawn contractor, join the football team at your high school, or drive?” writes Walter Olson of the Cato Institute. The 5th Amendment protects against self-incrimination. But now, not only are individuals forced to give their fingerprints, but they are also forced to give their DNA. Essentially, that which physically defines and identifies you belongs to the state. It is no longer your property. This reminds me of the case discussed earlier about how defendants did not want to relinquish their financial reports because that would be self-incriminating, but a judge ruled that an individual’s financial reports were public property! I stand corrected: The 5th Amendment protectED against self-incrimination. You’d think the whole “secure in their persons against unreasonable searches and seizures” would’ve meant something in terms of DNA and fingerprint collection. Apparently, not! It would seem there is some semantic wiggle room in the terms “unreasonable” and what exactly constitutes “probable cause”. I can be stopped and a sample of my breath can be taken for no other reason than me driving on a piece of road at a particular time. So, I guess it stands to reason (and I use the term “reason” loosely) that our finger prints and DNA can be taken from us simply for being a suspect! FOR NOW, the DNA samples being taken from those who are NOT convicted of a crime are disposed of… or at least that’s what we’re being told. 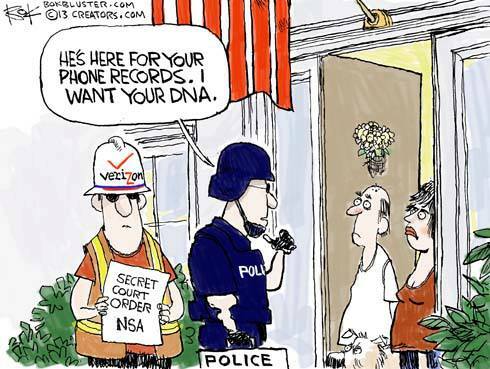 So no need to even THINK about some nationwide… or even worldwide… DNA database being made. FBI & IRS Rifling Through Your Virtual Communications? CISPA: Liberty Win? Or Tyranny Delay? Remarkable! Its genuinely amazing paragraph, I have got much clear idea on the topic of from this paragraph. I think that there is a good possibility that this information leak was deliberately leaked. Why? Even though more people every day are “waking up,” even among the woken up, there is a kind of denial that it can ever “happen to them.” And, this “it-couldn’t/woudn’t-happen-to-me” mindset is probably quite prevalent among the population at large, whether woken-up or not. So my feeling is this. “They” want it to work the way it worked in Stasi-Germany. Once everyone is quite certain that spying and surveillance are rampant and that it is completely possible that their communications might in some way be used against them, people become VERY AFRAID when it comes to any kind of communication, not to mention anything they do. PARANOIA/FEAR is already a major, major component of the amerikan mindset, and so this extra “little” (ha!) push on the ‘ole “panic-button” is guaranteed (no?) to have a massive effect. The idea is to eliminate (or at least come close to eliminating) any resistance whatsoever. How better to accomplish this goal then to shutdown and/or severely limit communication, given the fact that “communication” plays a key role in what binds us all together and neutralizing their “divide-and-conquer” strategy. That’s an interesting take. And as with any and all incidents involving the government, I am open to EVERY possibility other than what’s written in the official government report. LOL My jury is out as to whether Snowden’s release was on purpose or not, but I do think the government on some level has been trying to get us “used to” a police state. I mean, what else could possibly explain Boston!? Thousands of men patrolling the streets of one little Massachusetts township and they couldn’t turn up one lead. The point of instituting Marshall Law in Watertown was not to find the 19 year old suspect. It was to see how Boston would take such a response. If they wanted to find the suspect, they would’ve gone back to business as usual and release a bunch of inconspicuous plain clothes to find him rather than scare him into hiding where only a dude going out for a smoke could find him. Something similar was done in Alabama where they were taking voluntary DNA and blood tests. Supposedly, this was a private study conducted to see how many people were driving under the influence of any substance. They were assured it would be anonymous. But here’s my question: what does DNA have to do with testing for substances??? Hinky. 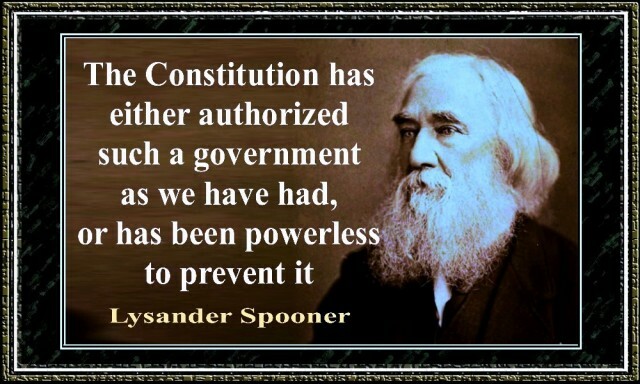 This is why I do NOT believe the government’s stated purpose or findings of anything. I’d sooner believe an account involving 10 headed aliens and Mothra.